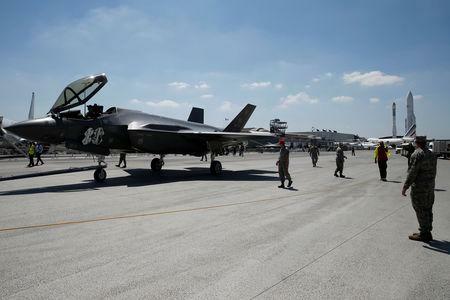 (Reuters) - The U.S. Department of Defense said on Thursday it would start field testing all three variants of the F-35 Lightning II fighter jets in combat conditions to evaluate operational effectiveness and suitability of their weapons systems. The testing is expected to be completed in the late summer of 2019 and the data will be used by the U.S. government to inform its "Milestone C" decision, leading to formal entry into full-rate production at the end of next year, the Defense Department said in a statement. All tests will be conducted at U.S. Military testing ranges and installations, it said. "The start of formal operational testing is a milestone more than 18 years in the making," F-35 program head Vice Adm. Mat Winter said.